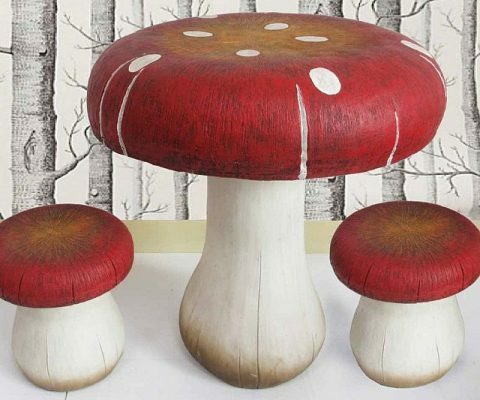 Create a surreal environment in your offspring’s room with this whimsical table and stool set. Expertly crafted from heavy duty resin, each piece of furniture comes decorated to resemble overgrown fungi straight from the world of Alice In Wonderland. 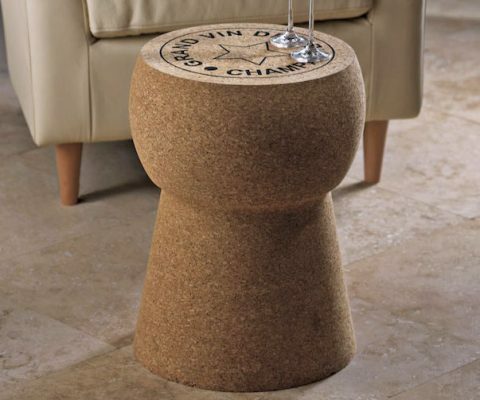 Liven up any dull room with a little whimsy by bringing in this rocket coffee table. 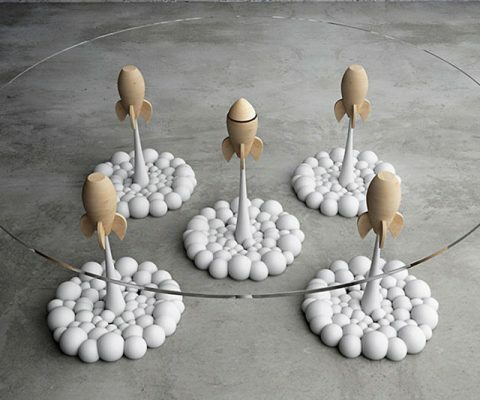 Each leg of the table is designed to look like a small wooden rocket blasting off the ground, with the rocket in the middle breaking through the glass surface. 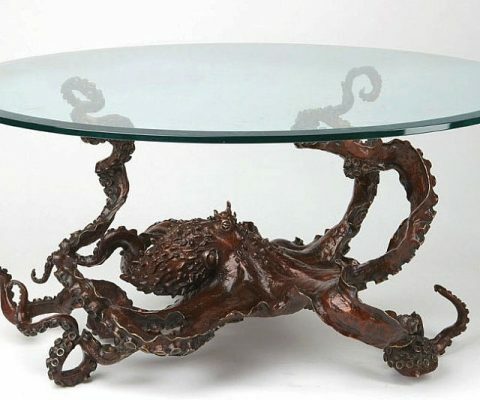 Give your land-lover home a nautical touch that draws the eyes in with the bronze octopus coffee table. This beautiful bronze cephalopod sprawls over the floor, creating the illusion it’s on the move while three of its tentacles hold up the glass top. 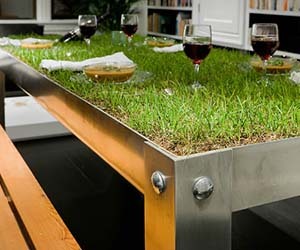 Take the insects and uncomfortable seating out of picnics as you bring them indoors with the grassy picnic table. Now no matter what the weather report looks like, nothing will stand in the way of your romantic and intimate picnic for two. 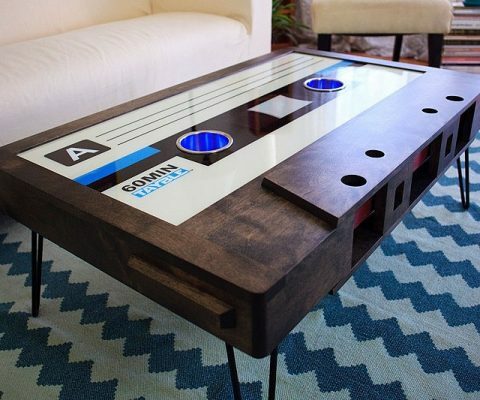 Increase the hipness factor of your quaint living room with this vibrant cassette tape coffee table. These nostalgic pieces are expertly crafted by hand and given colorful paint jobs that make them look just like the real thing. 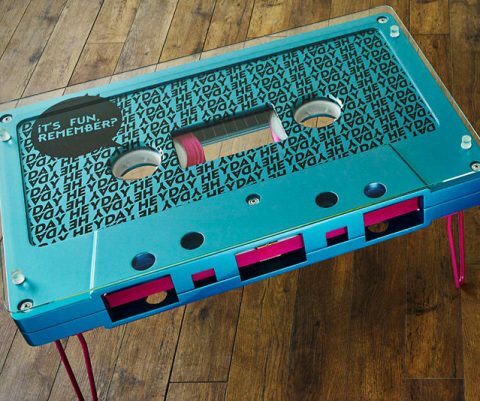 Create a hip environment in your home with the addition of this eye-catching cassette tape coffee table. The nostalgia inducing design is made by hand from wood and steel and features a hollowed out body that can be used for storage. Turn mealtime into playtime when you sit down to dine on the swing set table. 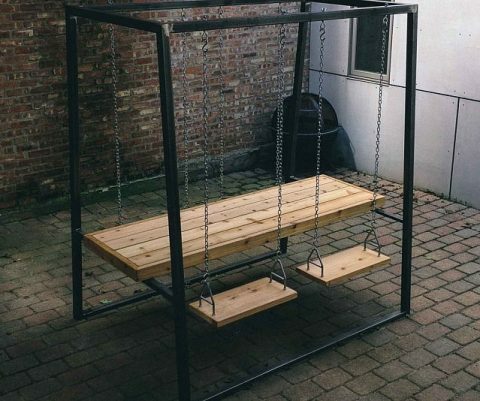 Crafted from steel and rich cedar wood, the table comes fitted with four swing styled chairs so everyone seated can swing back and forth as they chow down. Break away from all the angles and straight edges in your home decor with this handcrafted tile mosaic coffee table. This circular table has a 38 inch diameter and displays a striking tile design at the center that adds depth and character to the piece. 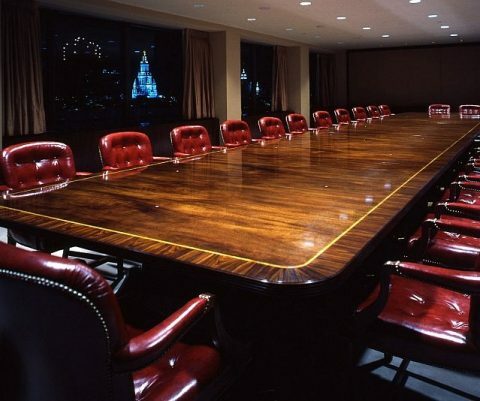 Create an ambiance of elegance and professionalism befitting your successful business by making this Sheraton-style boardroom table the centerpiece of your conference room. 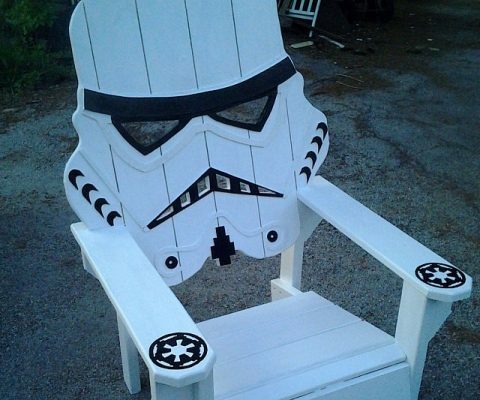 It’s handcrafted from exquisite mahogany and is large enough to seat 26. 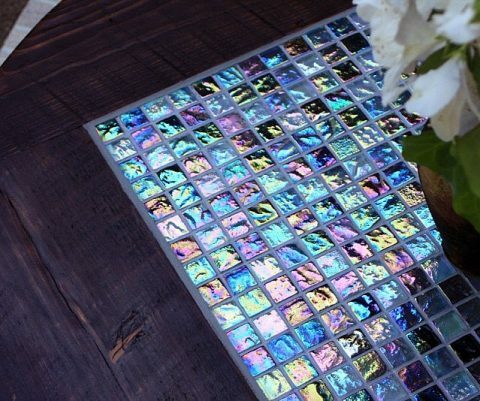 Piece together the living room of your dreams by making the light up LEGO coffee table your center piece. 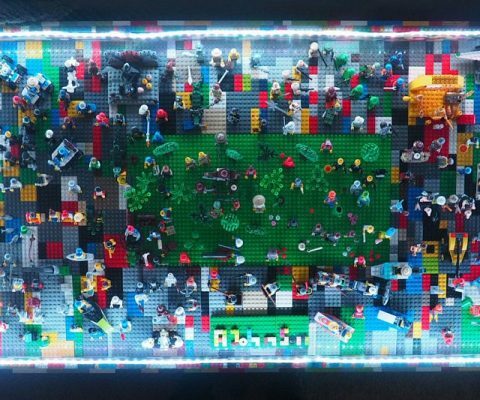 The design features a concave surface with over 250 miniature LEGO people on display beneath a removable glass top. Give your bachelor pad a boost in testosterone with the ammo crate table. These refurbished solid wood ammo boxes were previously used to carry around mortar bombs, and are the perfect complimentary piece of furniture for any true ‘Merican home.